I know we have twelve days until summer officially arrives, but today the temps were climbing a bit and it was a little humid. We headed out for a tradition. Manassas Hamfest followed by lunch at a winery. The past three or four years we have done this. This year we headed off to Breaux after a morning at the show. 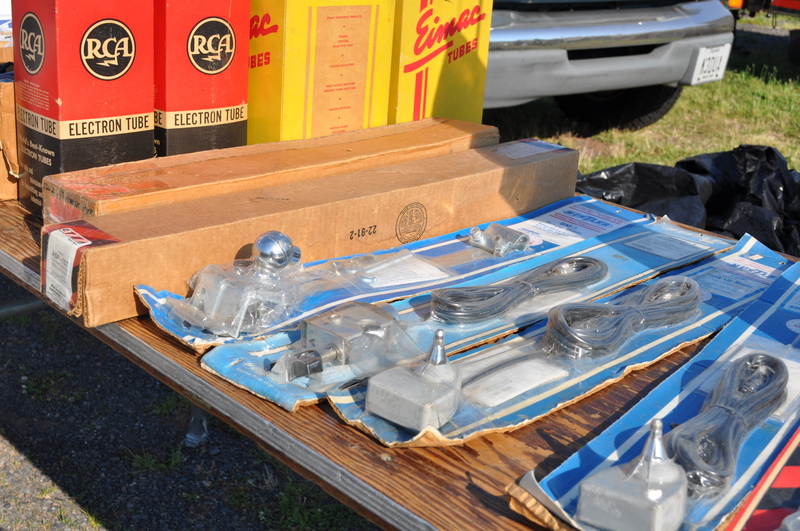 The Manassas “ham” fest aka amateur radio flea market always makes me smile. After all, this is the place to get those replacement RCA electron tubes you need. We then headed out to Breaux for a cellar club “pick up party”, where we get to see the new banquet hall and taste the cellar releases paired with food. Love the view from the new building. 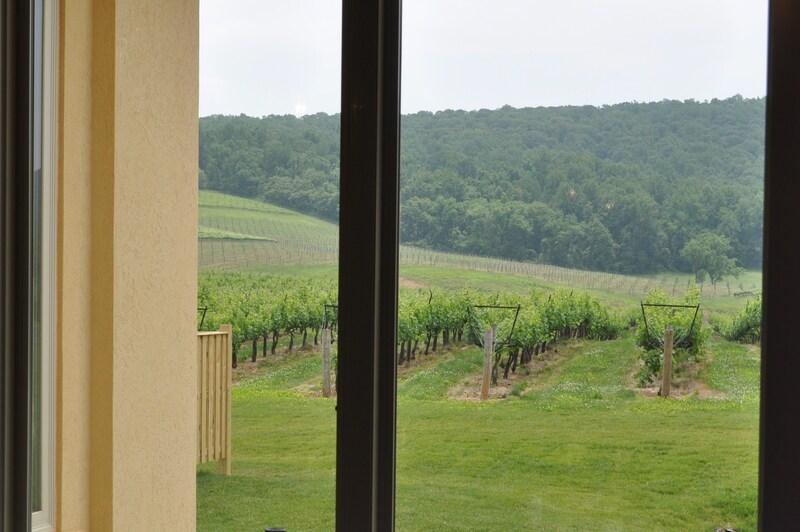 The older tasting rooms were at the bottom of the hill without this great view of the vineyards. They had live music today, and many people having lunch out listening to the music. The back half of the tented area is reserved for cellar club members. You can see in the picture above the haze over the mountains. Next week is Cajun fest out at the vineyards. 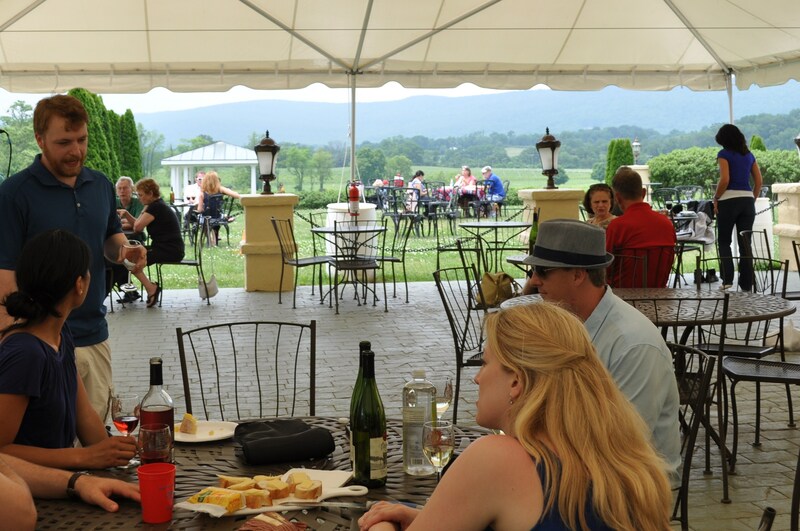 With zydeco music, and even more space to spread out, the winery is gearing up for summer. We brought our wines home, finished the grass cutting before it rains again, and had shrimp curry for dinner. That curry from Thai Spices, the new vendor at the Howard County markets. The matsamon curry. 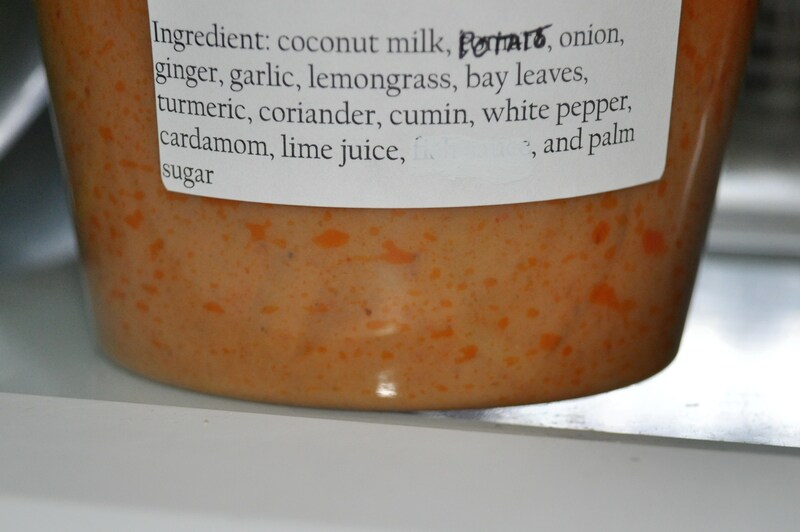 One of the “milder” curries they sell, this blend is packed with flavor. Yesterday we picked up a pound of steamed shrimp at Boarman’s. I peeled it and plopped it in the curry just before it was ready to serve. A little naan. A side salad. A riesling. Posted in Day Trips, Farmer's Markets, Food, Local Businesses, Weather, Wine and tagged amateur radio, day trips, farmer's markets, Food, foodie, local businesses, weather, wine. Bookmark the permalink.